As I sit writing this article, I’m slightly dazzled. In a matter of mere hours, my convictions, my beliefs and in essence my religious outlooks have been defined and changed. Sometimes, all of us live our lives believing that our perspectives are unique and non contextual for the world. To a great extent, my religious beliefs were similar. Born into a Hindu family with an educated background, I was brought up in a world of atoms, aartis, allah and atheists. I often meet people who were either religious preachers or atheists or agnostic, although the last one were a very few. Yet, I never could relate myself with any of these groups. I always had, always will and always shall believe in God but I always used to find the elaborate hoaxes of religion distributively economical cheating, puzzling and purely insulting. How could I pass an exam with a black thread tied on my wrist? How can I be free from the supposed influence of a planet just by performing some absurd pooja? Wasn’t our creator supposed to be our friend, our guide? Why would he do this to us? My concept of God had always been in transition. Agnosticism, Atheism, religious devout, detached but religious, non-practicing, the list of my phases goes on. But each phase left me unclear. 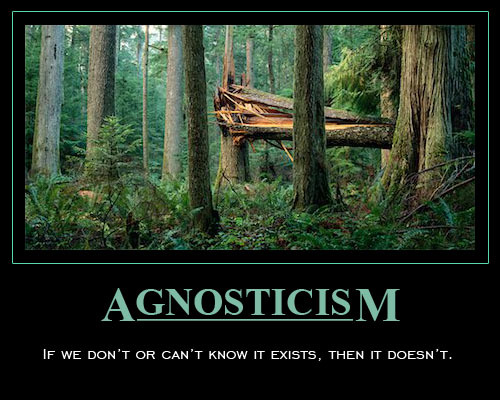 Agnosticism although sounds cool, is simply an act of arrogance and to a large extent ignorance. It’s deliberate aloofness. “Maybe he exists, maybe he doesn’t”. Yet, you can conveniently blame it on God when everything goes wrong. How does that even make sense? Then there are buffs that take up religion seriously and abide by fictitious but spiritually enhancing books as the “Word of God”. Many such nuts denounce science, logic and analysis. Little do they realize that reasoning, analyzing etc form the crux of human civilization. As SOMEONE said, “Religion is the greatest invention of man.” Created to rein in civilization into order from chaos, religion is simply expounded by a bunch of idiots who just wish to commercialize the gullible nature of the masses. It’s my personal opinion that our God is not a punishment-giving strict care giver who will help us only if we do some particular things. Take the Hajj for instance. What about a person who can barely afford food or shelter in say, India? Do you really think that our God is so cruel and so full of himself that he will ask the said person to sacrifice his stomach’s need and make him spend a fortune to journey to a religious spot as an obligation? Another example. In Hinduism, it’s a wide held belief that anyone who continually recites certain mantras for some years shall be absolved of all crimes and shall be guaranteed a spot in heaven. Rather convenient for rapists and murders isn’t it? Christianity has a similar concept with regard to rosary. All religions preach that God is righteous and treats everyone as equals. Then why do temples have special, short lines where some money gives your quicker divine access? 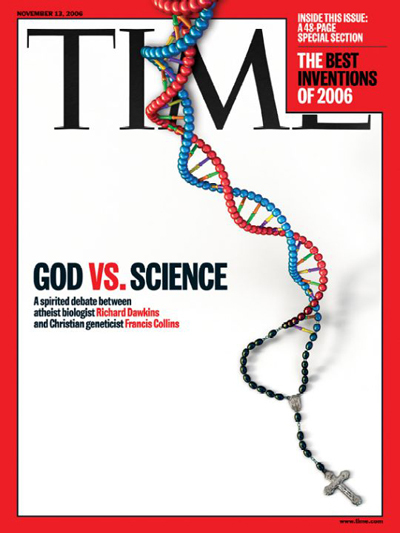 Today, using equipment like the Large Hadron Collider and ultra microscopes along with sophisticated mathematical formula and techniques, Science has uncovered the so called “Time Zero + .00001 Second” activities of our universe, but has failed miserably to even remotely theorize the Time Zero or Pre-Time Zero events which religion heralds as proof of God’s existence. Still, I don’t place all my trust in science. For all the supposed unraveling of the universe, all it has done is flummox us and impress us with unproved assertions. When people ask scientists who created energy (the supposed source of the Big Bang), they answer with an arrogant assertion; “Energy can neither be created nor be destroyed. It just exists”. WOW Genius! It is appalling to know that people would rather place trust in a paradoxical statement and blindly assert that energy just existed rather than acknowledging the presence of a creator. After all this, I arrived to this conclusion. I believe in God. A kind God. A merciful God. A God who loves me. A God who created this universe. A God who laid down the rules of science we worship. But my God will never ask me to partake in meaningless commercialization of his name. He also won’t promote the killing and hurting of my fellow human being due to fanaticism over absurd inventions of man. In steps Deism. 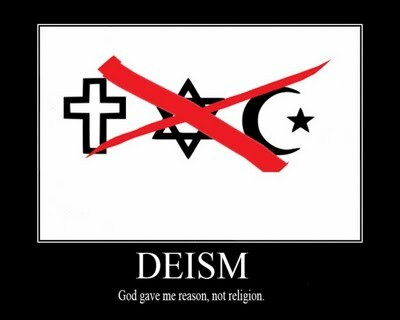 I won’t propound or advocate Deism but just tell you what it means. A Deist is a person who believes in the existence of God, has faith that in him or her but does not believe in religion or its rituals. Rather a deist trusts in reasoning and logic over blind faith in biased interpretation of ancient texts. To sum it up, I end with some questions. To religious bigots: “If God is kind and ever powerful ( as the holy books of every religion claim), why does he demand worship? Why does he ordain a way out of every sin via money? To all atheists: “If God doesn’t exist, who created the universe? Don’t say the Big Bang because a follow up is who created the energy? And please, no “Law of Conservation of Energy’ crap. Exemplary problems are always a part of someone’s lives. never will you find a person devoid of a problem(and if by an odd chance you find one, the person will be devoid him/herself).at many crossroads of life, we find ourselves in situations when some of those slow beats wale Bollywood tracks play in the background and those cryptic lyrics make sense. That’s the time when we need to debug our life. Life is an extraordinary fairy tale with its own twists and turns which may lead us to the beautiful wide windows of happiness or to the gallows of sadness and depression. We may be dipped into the hot scalding oils of anger and invariable revenge but we may also be thrown into the limitless sky of unyielding joy. Still, there are numerous times when we feel ki kaash life was like an iPod; bundled with its own play, pause, fast forward and rewind buttons. Just a small of any of them could control time, where in everything was in our hands and still under control. But unfortunately this concept shall always remain a fantasy (unless Dr. Sheldon Cooper succeeds). So at such unpredictable moments, what do we do? Do we give up and lose hope? no we stand up, throw a few punches at life and say,” you can’t beat me punk!” I know it is easy to say so and damn tough to apply and follow. Recently I myself went throw one of such moments and I admitted defeat. But as I recover, I have learnt the importance of being in control of ourselves. A simple mantra to do this was once told to me by a friend and later on by my parents. It goes like this: “In life, you will always come across a number of hurdles which will deter your vision of your goal; but don’t lose hope and carry on with your life because your manzil will not be as far from you as it seems.” And believe me when I say, achieving that one dream which you have always pined for is worth the entire wait and hurdles in the world. Coming back to the topic at hand, each one of us has our own debugging method. Some write, some sit and think, some tune into music and some sleep. I personally love to sit by my favourite window with my favourite music playing on my iPod. But whatever your method maybe, always keeps in mind the biggest secret of this universe; “Life in itself is a unique gift; but getting to play with your gift in the human form is the ultimate souvenir. Cherish your passions, enjoy your time and of course believe in everything and everything will believe in you.